He said a majority of bankruptcy filings in Las Vegas were mortgage-related only 10 years ago, but a new offender has emerged in the valley. Today, more than half the filings Peters sees are related to credit card debt. A large number of Nevada residents have been struggling to curb their credit card debt, according to a recent study from consumer and business credit reporting agency Experian. The report said Nevada had the highest year-over-year growth in credit card debt in the U.S., with 9.3 percent growth in the second quarter of 2018 from the same period last year. That growth was well above the national average of 6.6 percent. The state has about $7.44 billion of credit card debt, according to the report. Nevada’s booming population is likely the biggest contributing factor for this growth, said John Luis Alcantara, a wealth management adviser at The Alcantara Financial Group in Las Vegas. Clark County reported that its population was nearly 2.25 million in August 2017, a 10 percent increase from the 2.04 million residents in 2010. Alcantara said some of those new residents might be bringing in credit card debt from other states. Many of those new residents are spending money on homes; builders closed 9,400 sales in Clark County in 2017, the most in almost a decade, according to Home Builders Research. Florida and the District of Columbia, two of the other places with the highest credit card debt growth, also have some of the fastest-growing populations in the U.S., according to estimates from the U.S. Census Bureau. Florida’s population grew 11.34 percent between 2010 and 2017, while the district’s grew 14.7 percent. The cumulative costs associated with purchasing a house can take new homeowners by surprise, said David Mann, a wealth management adviser at Northwestern Mutual in Las Vegas. All 50 states saw some increase in credit card debt in Experian’s report. Mann said this could be due to the current state of the economy. “As the economy is doing better, people loosen up in terms of how they handle money,” he said. Credit card debt has been a common problem for Nevada residents for a number of years, according to Michele Johnson, executive director for the Financial Guidance Center in Las Vegas. “Las Vegas has always been high (ranking) in the U.S. with the amount of delinquent debt we have,” she said. “I don’t think it’s surprising that we’re first” in this Experian ranking, published Aug. 7. One report from Chicago-based credit reporting agency TransUnion from the second quarter of 2011 named Nevada as the state with the highest credit card delinquency rate, the percentage of borrowers who are 90 days or more past due. Another analysis by Experian found Las Vegas had the lowest average credit scores in 2011, ranking 136th among 143 American cities. Mann said he’s seen credit card debt trends rise and fall in the 20 years he’s worked in the industry. High credit card debt can do more than just hurt credit scores, Alcantara said. Peters said everyday expenses, like groceries and utility bills, have spiraled out of control in the bankruptcy filings he’s seen related to credit card debt. But these risks don’t mean consumers should shy away from using a card, Alcantara said. The best way to make sure credit cards are used correctly is to pay attention to spending habits, the Financial Guidance Center’s Johnson said. She suggested consumers with debt cut unnecessary expenses like a daily Starbucks coffee or ordering takeout for lunch. 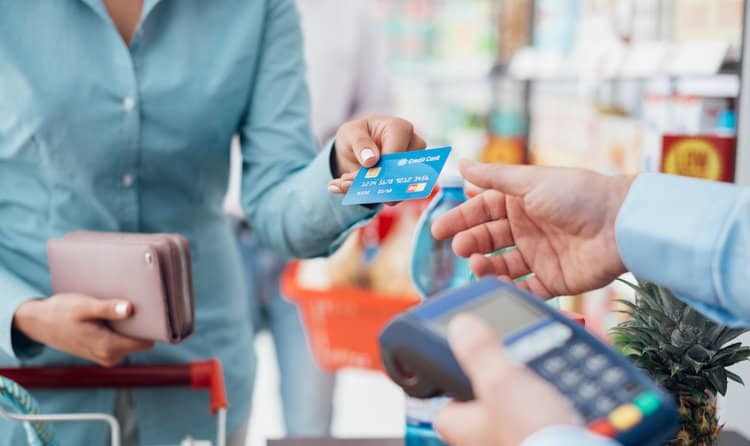 The best way to make sure credit cards are used correctly is to pay attention to spending habits, said Michele Johnson,executive director for the Financial Guidance Center in Las Vegas. She suggested consumers with debt cut unnecessaryexpenses like a daily Starbucks coffee or ordering takeout for lunch.